Black Queer Hoe is a refreshing, unapologetic intervention into ongoing conversations about the line between sexual freedom and sexual exploitation. Women's sexuality is often used as a weapon against them. 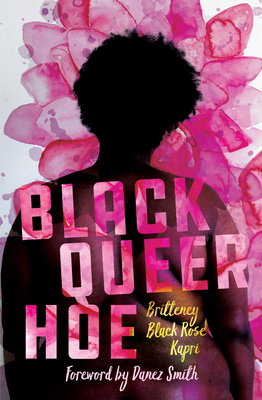 In this powerful debut, Britteney Black Rose Kapri lends her unmistakable voice to fraught questions of identity, sexuality, reclamation, and power, in a world that refuses Black Queer women permission to define their own lives and boundaries. Britteney Black Rose Kapri is a Chicago performance poet and playwright. Currently she is an alumna turned Teaching Artist Fellow at Young Chicago Authors. Her work has been featured in Poetry Magazine, Button Poetry, Seven Scribes, and many other outlets, and anthologized in The BreakBeat Poets and The BreakBeat Poets Vol. 2: Black Girl Magic. She is a contributor to Black Nerd Problems, a Pink Door Retreat Fellow, and a 2015 Rona Jaffe Writers Award Recipient. Britteney Black Rose Kapri is a Chicago performance poet and playwright. Currently she is an alumna turned Teaching Artist Fellow at Young Chicago Authors. She is also contributer for Black Nerd Problems and Pink Door Retreat Fellow. She is a 2015 Rona Jaffe Writers Award Recipient.